The purpose of this breakfast is for a handful of ambitious dads who are on shared parental leave or who have recently returned to exchange thoughts on what support dads need to combine active childcare roles with continuing to develop their leadership careers. Leaders Plus will buy breakfast. Your thoughts and suggestions will help to inform our work with male Leaders with Babies. This event is for you if: you are a dad who is expecting a child, is currently on shared parental leave or has recently returned from shared parental leave or otherwise heavily involved in caring for your children under two. To change gender inequality in leadership roles, it is critical that we support the people in the top jobs and their organisations during and after CEO parental leave. Date, location & format: 12 October 10.30am - 12.30pm, Impact Hub Westminster. This event is for you if: you are a charity or social enterprise CEO or Chair and interested in the topic. Babies are welcome at this event. Delivered in partnership with Society, sponsored by Impact Hub Westminster. 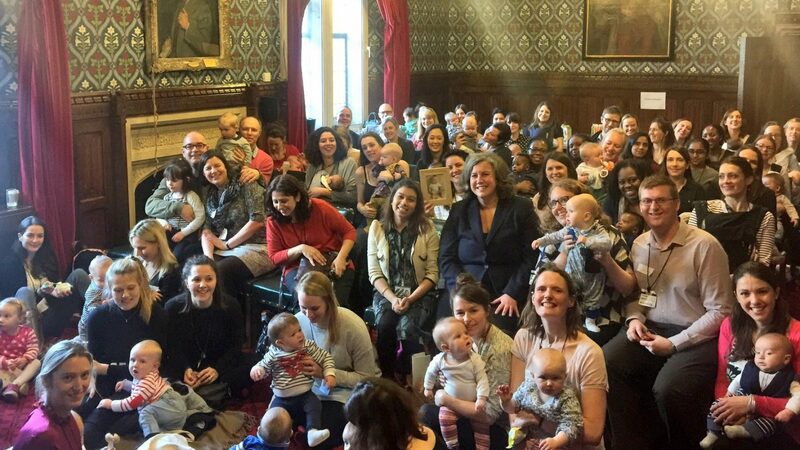 After the hugely inspirational pilot panel event in the House of Commons, the Leaders with Babies panel event comes to Lewisham Town Hall. We'd like 50 adults and 40 babies to hear from inspirational leaders who combined a leadership career with young children. Date, location & format: 7 September ,10.30 am to 12.30pm, Lewisham Town Hall (5 minutes from Catford train station which is 15 minutes from London Bridge). This workshop is for you if: you are pregnant or recently had a baby and are keen to get ideas how to combine progressing your leadership career with caring for young children.